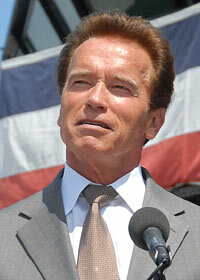 Austrian American bodybuilder, actor and politician. He's best known for his big action films such as The Terminator series, True Lies and Conan the Barbarian. He's also the former governor of California. Jericho Cane:"They say breakfast is the most important meal of the day." Jericho Cane:"Take it easy. We're the good guys." Jericho Cane:"Was he working for someone?" Priest:"Yes, he was working for God." Jericho Cane:"So God ordered a hit on an investment banker?" Priest:"There's an awful lot you don't know." Chicago:"Is this considered interfering with a police investigation?" Jericho Cane:"Hey, we're private citizens having a conversation with another citizen. I mean, I don't think they found a way to outlaw that... at least not yet." Jericho Cane:"So what did you find out?" Detective:"The name is Thomas, he's a priest." Jericho Cane:"Why don't you tell us something we don't know." Chicago:"A homicidal priest, that's good." Detective:"Yeah well it gets better." Jericho Cane:"Well I've seen a lot too, but there's nothing that would make me cut my tongue out." Priest:"Yeah well wait a few days." The Terminator:"Come with me if you want to live." The Terminator:"Hasta la vista, baby." Trench:"Why don't we have dinner?" Trench:"Hey, you been sick? You've lost weight." Barney Ross:"Really? Well whatever weight I lost, you found pal."